Check out the latest issue of PaintballX3 Magazine right here - it's live and Free and you can read it right in your browser! 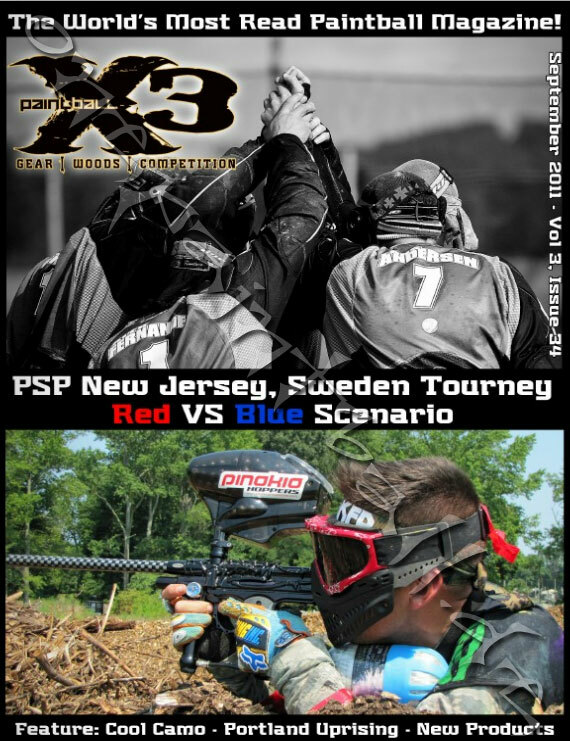 This issue features coverage of the PSP New Jersey Open, the Red Versus Blue Scenario Game, JT Paintball's new RTP Kit, Tournament coverage from Sweden, HOt Camo feature, New Product Spotlight and much more. Check it out here. Paintball aus atemberaubend anderer Sicht!